Q. Can you start by telling us a bit about Things my Mother Told Me? What is the main story line? And what inspired the novel? A decade ago, I broke up with a boyfriend who had an affair with a burlesque dancer, and I started to write this story. Except I realised there was no way to top a burlesque dancer, even in fiction, so I had to abandon that manuscript. Years later, I came across those early chapters. Some of it made me cringe, but some of it made me smile. And once I’d peeled my bruised ego from the pages, I could see a different story underneath. About a new character, a young woman called Anjali. As I started to write about her, I realised that this wasn’t just going to be a funny story about Anjali getting over an unfaithful boyfriend, but it was going to be a story about love and loss and identity and mental health and all the things we do to make sense of our lives. Plus, in Anjali’s case, how to cope with a Sri Lankan mother. Q. Can you tell us about your journey to publication? During my MA and before this novel, I wrote another book. It was about the sorts of things I thought I should be writing about as a second generation Sri Lankan immigrant. There were a few saris and mangoes in there and one or two elephants. I spent years rewriting it and trying to get it published, but although it was long-listed for two awards, it didn’t succeed. Which was probably for a number of reasons, but the truth was I hadn’t found my voice, or the story I needed to tell. Over time I found I wanted to write about a character whose cultural identity, although hugely important, didn’t restrict her story. And as I started to find my voice, Things My Mother Told Me began to pour out. But it’s a book with a light side and a deeper side and it took me a while to get the balance right. In 2016, I had a long phone call with literary agent Diana Beaumont and we talked about how I might achieve that balance. The next day, she offered me representation. For the next few months I worked on the manuscript with Diana before we sent it out. It was bought by Sphere, imprint of Little Brown, but the journey still didn’t end there: it took a few months more of work with my editor before the novel was finally ready. Q. Your novel moves from England to Sri Lanka – how important is place in this story? As a British Sri Lankan, Anjali has to navigate between two different and sometimes conflicting cultures and I knew from the outset I wanted to take her to Sri Lanka to explore those differences. But in the end this journey turns out to be more than simply a meeting of two cultures, in an unexpected way. Q. As Anjali’s journey unfolds, the reader encounters a lot of flowers. Can you tell us about their significance? I loved the idea of Anjali being a florist and each flower in the book representing a certain stage in her journey. This novel takes place over a year in Anjali’s life, and I wanted to link her story to nature and growth. But when I started, I knew absolutely nothing about flowers. It was a good excuse to learn more, especially about some of the myths and legends behind their names. Now I know that Cleopatra’s secret weapon was lavender and sunflowers are the state flower of Kansas. This makes me happy. Q. You mentioned you did an MA in creative writing. What did you learn and how did it change or challenge your writing? Maybe one of the most important things I came to realise by the end of the MA, was that a first draft is not the last draft. And that it is probably only the beginning. The MA helped me to understand my creative process – which is that it might take writing a book to know what a book is about, and then armed with that knowledge, you need to have the courage to start over. I think the courage is easier to come by when you have support. The MA also introduced me to a group of wonderful writers who I continue to meet up monthly with, nine years later. I’ve had a long journey to publication and without them I’m not sure if I would have kept going. Q. You work as a psychiatrist as your day job. What, if any, impact has this had on your writing? Looking back, my work has always influenced my writing. I think a lot about the stigma associated with mental health problems and recently I’ve been wondering about the source of that stigma, and how much of it might lie unseen within ourselves. It was something I wanted to write about in this novel. Q. Can you tell us a bit about what you’re working on next? I recently became a mother for the second time, thanks to IVF. It was a hard and touching experience that has formed the basis of my second novel. I’m sixty thousand words in and it has its lighter sides and its deeper sides and I can’t tell you anymore about it, in case I jinx the whole thing. Q. 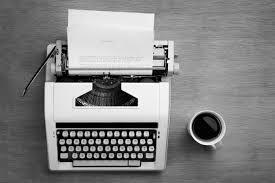 Finally what would be your advice to any aspiring writers out there? Don’t despair if you don’t have a lot of time. My MA gave me a whole year off to write. I can only dream now of that kind of time. Mostly I have to scrabble around to find half an hour in between my job and taking care of my children. Yet it’s surprising how much those half hours can add up, if you’re persistent. And it took me six years to find an agent. There were so many times when I thought it would never happen. There were times when I was so busy thinking it wouldn’t happen that I forgot to write. But when I did write I found I cared a lot less about whether it would happen or not. And when that happened, it happened. If you know what I mean. I think what I’m trying to say, very inarticulately, is keep writing. No matter what. 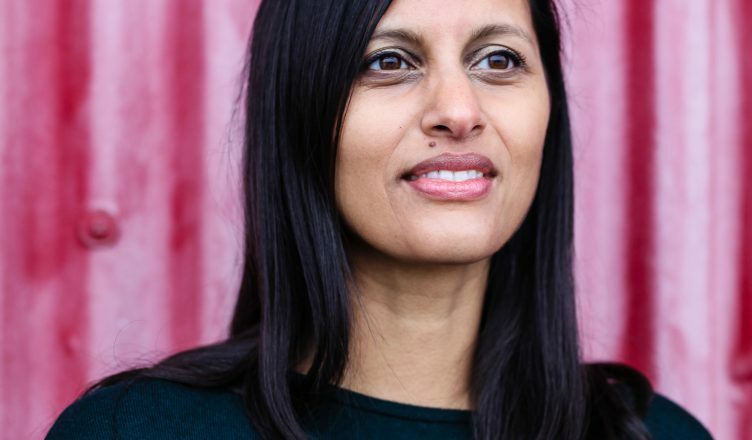 Tanya Atapattu is a writer and a doctor, specialising in psychiatry. She studied Creative Writing at Bath Spa University and has previously been longlisted for the Mslexia Novel Competition and Bath Novel Award. Her first novel, Things My Mother Told Me, was published by Sphere in 2018. She lives in Bristol with her partner and three year old daughter. This interview was conducted by Emma-Jane Smith-Barton. Emma-Jane was born in South Wales to Pakistani parents. Growing up between cultures has heavily influenced her writing and she is especially interested in exploring themes of identity and belonging. Before writing, she taught in secondary schools for six years and is passionate about increasing awareness of mental health in young people. She studied English and Creative Writing (BA) at The University of Warwick and has an MA in Creative Writing from Bath Spa University. Her short stories have appeared in various publications such as Mslexia and The Bristol Short Story Prize 2016 anthology (under her pseudonym for adult fiction, Amna Khokher). In 2017 she was one of twelve writers chosen from over 2,000 applications for WriteNow, a scheme run by Penguin Random House to increase diversity in literature.